(InterAksyon) The lack of closed-circuit television (CCTV) cameras, this time at Ninoy Aquino International Airport (NAIA) Terminal 1 perimeter fence, allowed a mentally challenged man to outsmart security personnel in a highly sensitive area, managing to get near a parked Kuwait Airlines aircraft on Monday evening. A spot report from NAIA Airport Police Operations Division head Capt. Tim Cruz said that at around 9:45 pm on December 30, an airline security guard radioed Terminal 1 security personnel regarding an authorized person loitering near the Kuwaiti plane parked at the airport's bay 4, a highly restricted area. The report said airline security and NAIA police apprehended the trespasser. Authorities established that the man had climbed over a blasting fence of the NAIA Terminal 1, and ran towards Bay 4 where the aircraft was parked for the night. Guards saw him just as he tried to climb up the plane using the front landing gear of the aircraft. Capt. Cruz identified the man as Marcelo Maligalig, 41, a resident of Taguig City. He was, it turned out, a mentally challenged person who was repeatedly taken in as a patient at National Center for Mental Health (NCMH) in Mandaluyong City. Upon investigation, Maligalig was in possession of a Philippine passport and several identification cards, including a security guard's license, and barangay and postal ID's. Maligalig was turned over to his sister, policewoman Christine Maligalig of Southern Police District. A source at the airport said that Terminal 1 has no CCTV around the perimeter fence that Maligalig had scaled. The incident again highlights the porous security arrangements at NAIA. Last week, NAIA Terminal 3's loading bay was the site of a fatal ambush leading to the death of Labangan, Zamboanga del Sur Mayor Ukol Talumpa, and three others. 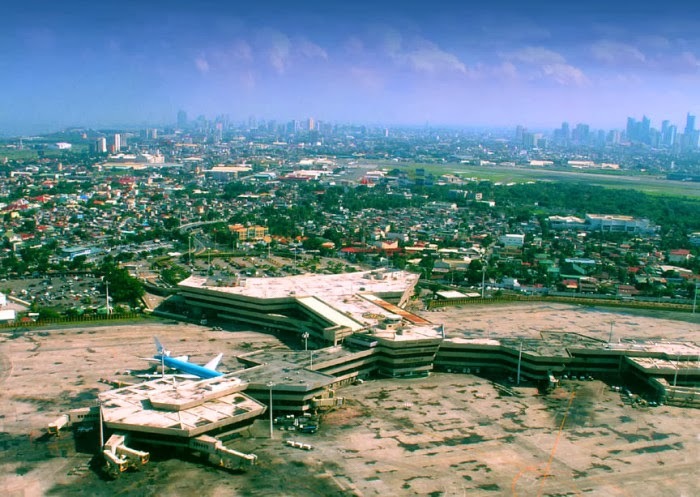 NAIA has not completely installed CCTV networks in all its terminals notwithstanding a promise by the Department of Transportation and Communication to do so in 2012.